What is the purpose of group skills training? “To learn, practice, and master–then transfer skills we are learning to places in our everyday life” (DIRT GROUP participant). This past weekend and today my co-workers and I instructed, discussed, and reviewed DIRT GROUP participant’s target skill areas. These included: Doing good quality work, staying on task, completing tasks, cooperating with others, participating in activities, dealing with frustration, displaying appropriate control, resisting peer pressure, hygiene, using an appropriate voice tone, choosing appropriate words to say, accepting “no” for an answer, following instructions (the first time asked), listening to other with “eyes and ears”, starting conversations/talking with others, delaying gratification, among others. DIRT GROUP is an experiential (hands on) social skills training group which positively influences social skills development in at-risk youth. DIRT GROUP practitioners instruct and review target skill areas with participants and create a “marinade” or a “therapeutic milieu” which fosters success in DIRT GROUP participants ability to learn, practice, and master skills they are lacking which help to return them to a normal developmental trajectory. 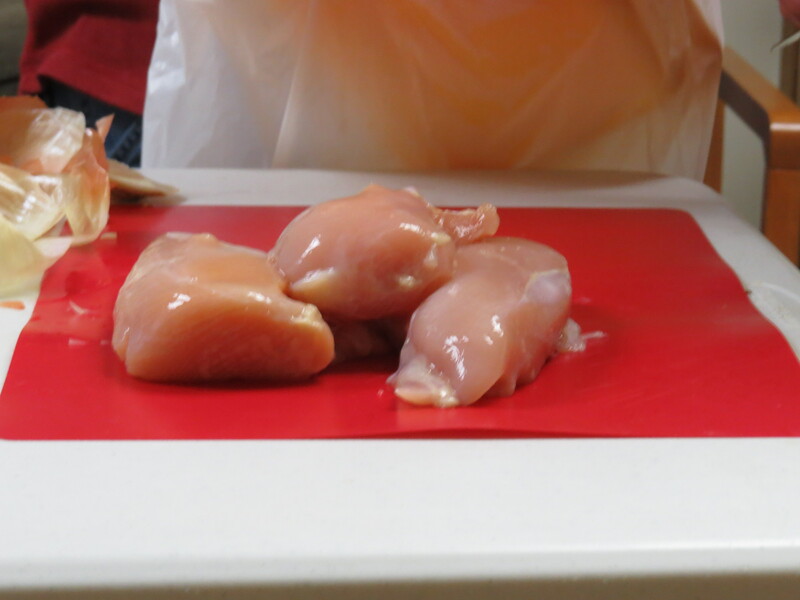 This past weekend DIRT GROUP experiential exercises included making chicken fajitas (chicken, peppers, and red, yellow, orange, green peppers, garlic, and even some sausage! 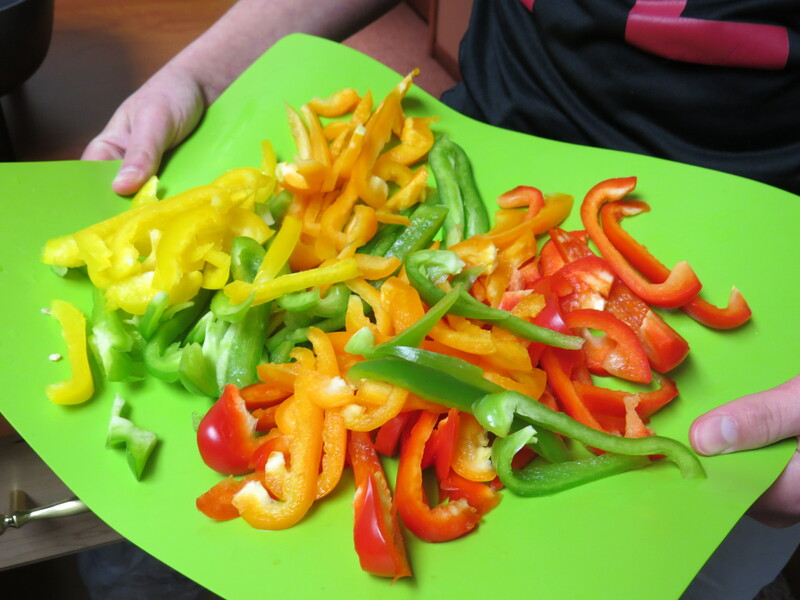 The many ingredients helped youth understand that just like there are many ingredients for successful social skill development the same is true for making great fajitas! 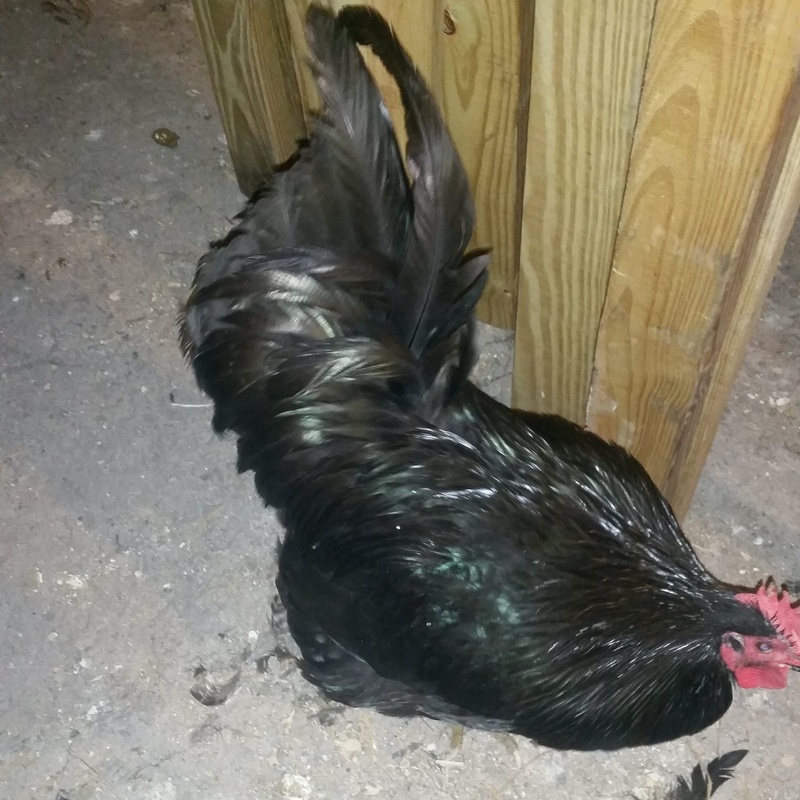 Goliath & King Sampson, my two Jersey Giant mature roosters. 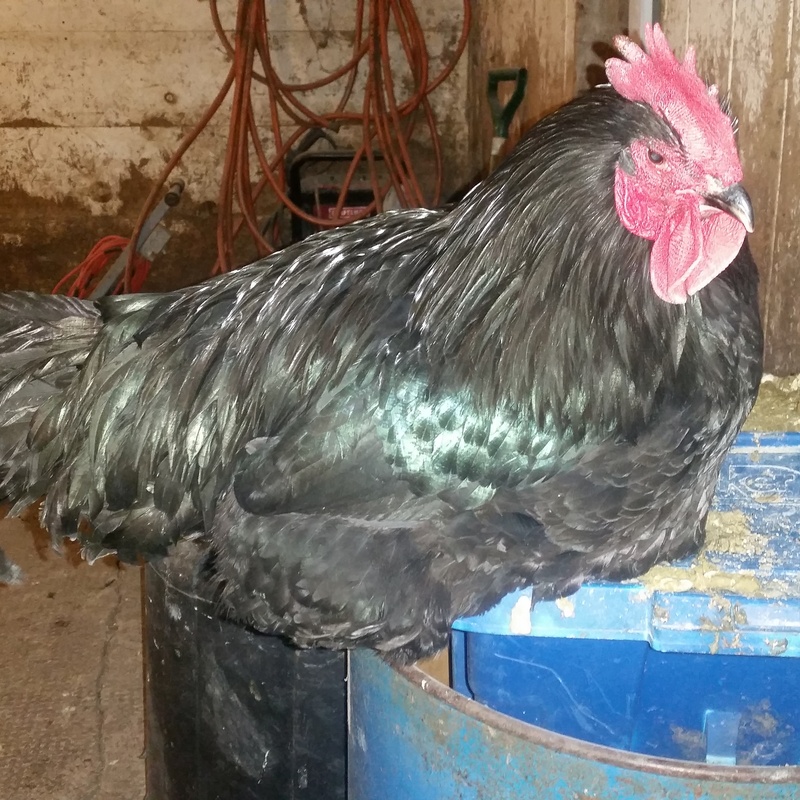 Use the Google and search Jersey Giant Chickens…I have nearly 50 Jersey Giant hens, 25 Production Red hens. 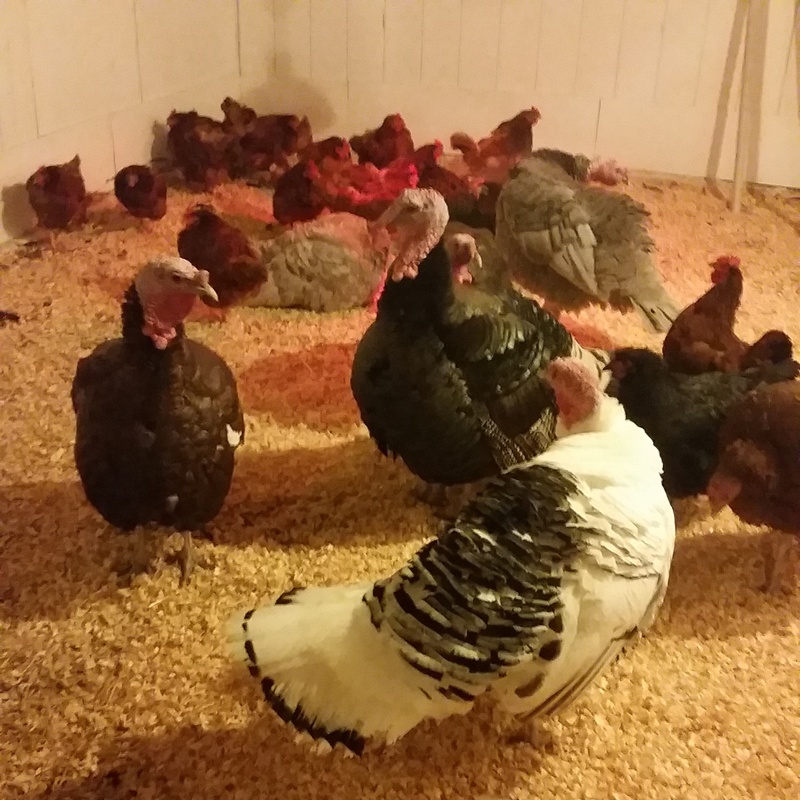 I have 3 adolescent Jersey Giants roosters (hatched this past summer) among the hens, the hens were hatched in May of 2013, June 2014, and July 2014. 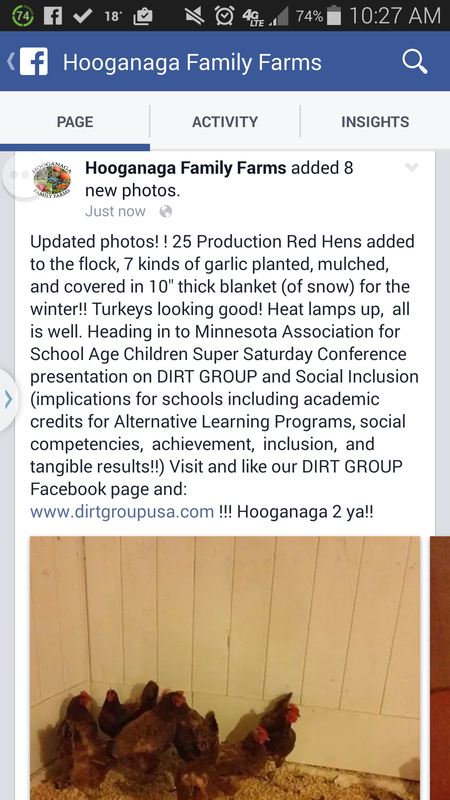 DIRT GROUP is an experiential social skills training group based in the context of a gardening / farming project for at-risk youth. 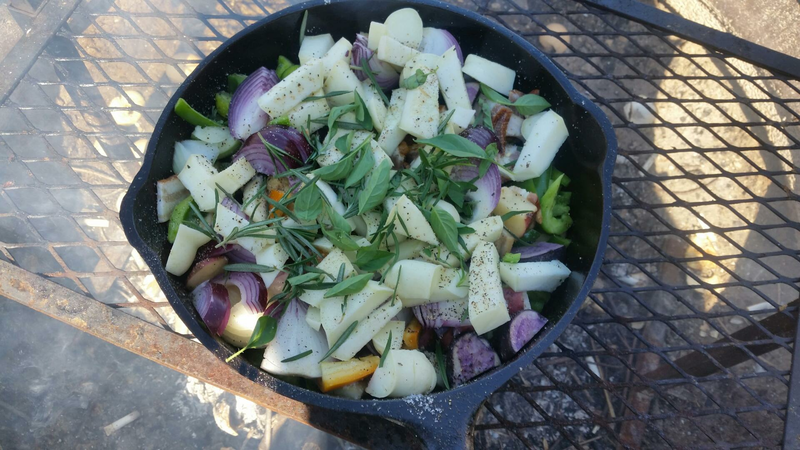 DIRT GROUP was created by Kenny Turck whose family has been on the same farm since 1875 when his great grandfather Jacob threw an axe into the woods to decide where to homestead. 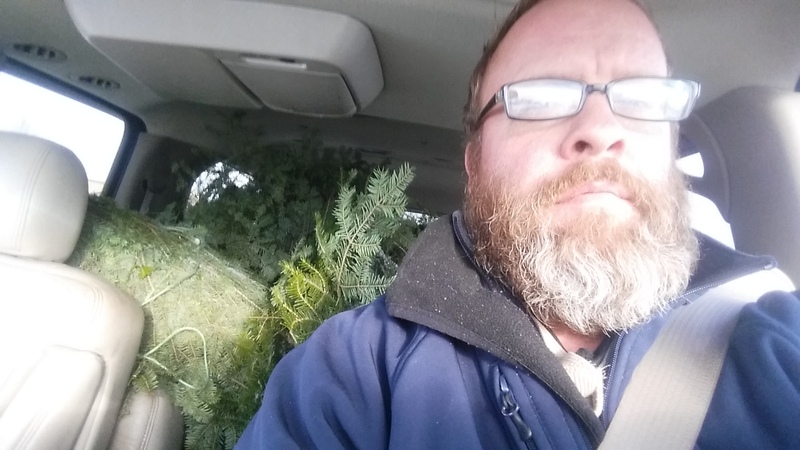 Kenny is a Social Worker and in 2010 received the NASW (MN) Paul & Sheila Wellstone Social Justice Award for his work on food security issues wirh at-risk youth through DIRT GROUP. 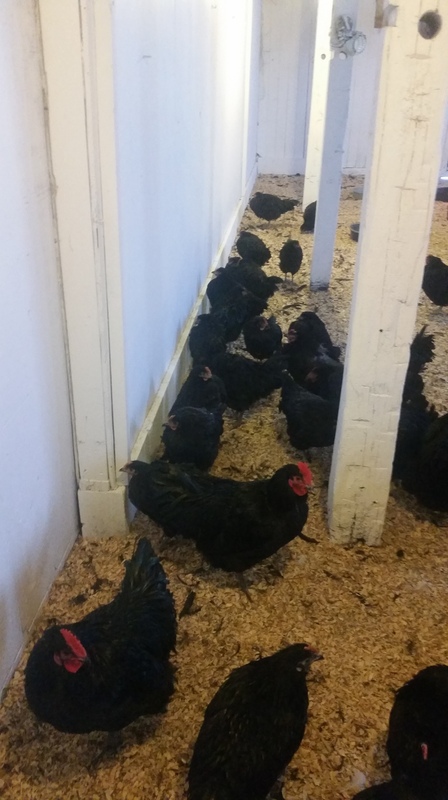 Kenny has been working in the human services field for 30 years and is the founder, CEO, and Co-Owner of Crow River Family Services, LLC (CRFS) based in Litchfield, Minnesota. CRFS provides outpatient and community-based mental health services. DIRT GROUP is informed by and grounded in 4 major theories: Symbolic Interactionism, Experiential Learning, Social Learning, and Strength – based theories. 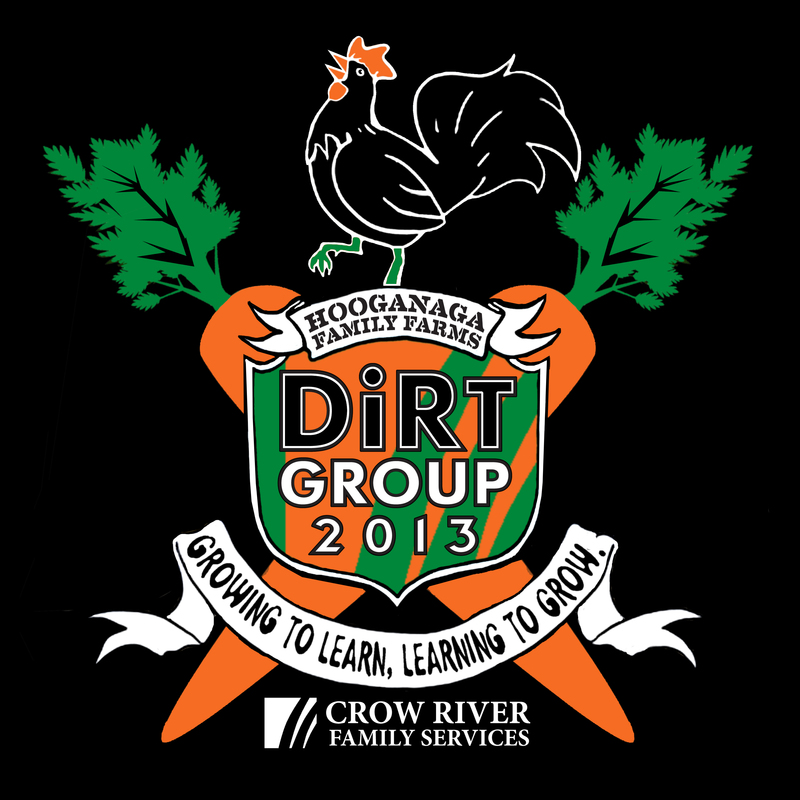 DIRT GROUP provides tangible results, skills that prepare participants for life, pride and ownership, community contributions/investment & participation (“Big Ripple Effect”), and social inclusion–fostering resiliency, competence/mastery, achievement, mindfulness, and emotional and behavioral self-regulation. What a GREAT turnout! ! ! WOW!!! I am humbled and nearly speechless (ok, I know that’s hard to believe : ) but what an ABSOLUTE AMAZING group of folks attending my workshop at the Minnesota Association for School Age Children Conference–and filled to the gills! ! Thank you for your wonderful reception, attention, energy, and response! ! Your students are lucky to have you! ! ! I am humbled. Heading into presentation on DIRT GROUP, social inclusion, and implications for practice in educational settings including academic credits for Alternative Learning Programs! ! !